If you have problem with our express tracking system, please track your package directly on the AGS Global Freight website. If you get no tracking information from AGS Global Freight official website, you’d better contact them. 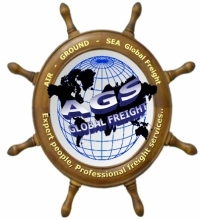 Have no idea about AGS Global Freight? Read AGS Global Freight reviews in advance and write a review after sending your package with AGS Global Freight. If you have problem with our AGS Global Freight Tracking system, submit your problem here, we will help you as soon as possible. Declare: We can NOT contact carrier or others on your behalf, we can only help you track your package with your AGS Global Freight tracking number on official tracking system. I do not have a tracking number, the delivery is going to Wesley Sirois, 716 106th Ave N, Naples FL 34108. It came from Samsung, it is 4 TV sets. Any chance the tracking number can be located? We suggest you contact AGS official customer service on this problem about AGS global freight tracking number. We provide AGS tracking service only.